You can view the campaign dashboard by clicking on the campaign in the dashboard. Here you can view all of the activity from your campaign. 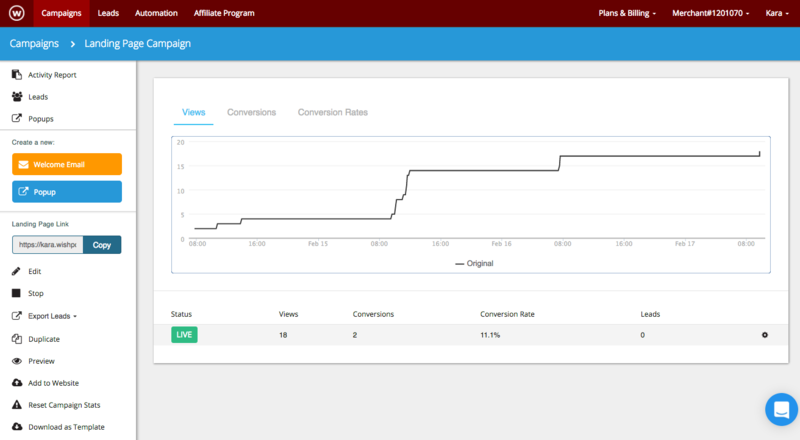 This includes the activity report and the views, conversions and leads that have been gained. The dashboard will display different information based on the campaign. 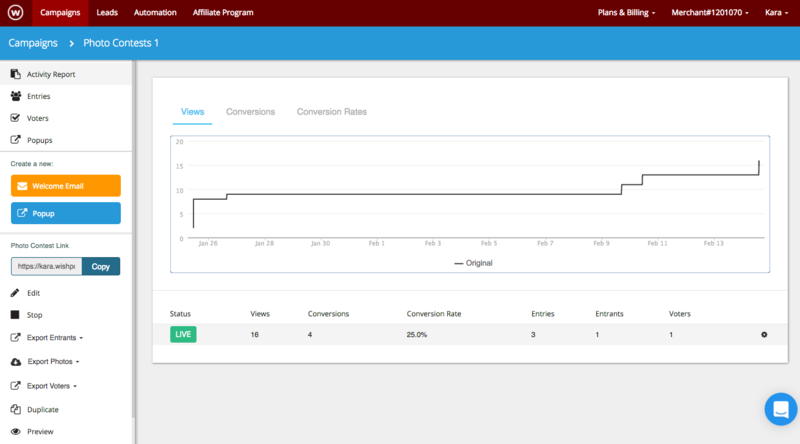 Landing pages, forms, popups and CTA will include an Activity Report with the leads from the campaign. From the campaign dashboard you can Edit, Stop, or Duplicate the campaign. You can also export Leads from the campaign. Contests have the option to Edit, Stop, and Duplicate the contest. In addition you can Export Entries/Voters/Photos from the contest. Entries can be viewed by clicking on the left tab, these can then be moderated or deleted. Voters can also be viewed or deleted by clicking on the icon to the right of the voter.